Ocean Art specializes in custom picture framing. With over 1000 frame samples and countless mat designs, we'll come up with a great look for your certificate, photographs, fine art, poster prints, or shadowbox items. Rest assured that your work will be in good hands. 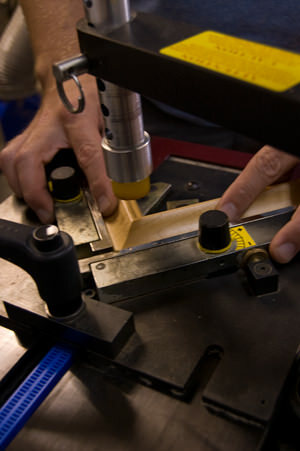 We use the finest conservation quality and environmentally friendly materials. Ocean Art is outfitted to produce large orders for our corporate clients. All of the details including print selection, framing, delivery, and installation are taken care of by us. Sit back and enjoy the view. Our Gallery is filled with an eclectic collection that you'll be sure to enjoy. Ocean Art has the perfect piece for your space. We offer an ever changing selection of prints and originals done by local artists. Our customers love our vintage photographs and wide array of poster prints. You'll also find three dimensional sculpture and hand made jewelry in our showroom. Ocean Art carries ready made frames, easels, greeting cards, books, and more. Ocean Art offers custom Giclee and photograph printing services. We commission artists to create custom artwork or lettering. Delivery and installation services available. I come across many meaningful and valuable collectibles in my line of work. Ocean Art is the only place that I trust with my memories. Copyright © Ocean Art 2015 All Rights Reserved.